Welcome to another post for our Virtual Book Club for Kids! 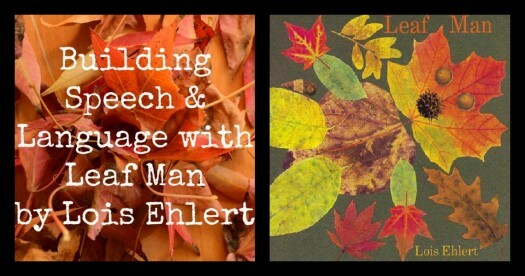 Today is also the day of our blog-hop launch so you can check out (or link up) all sorts of great activities by our spotlight author, Lois Ehlert. Last Week I shared about Building Speech and Language with Top Cat and today it’s all about Leaf Man! Follow Leaf Man as he travels where the wind blows him. From ducks and geese to spotted cows Leaf Man is taking it all in. Lois Ehlert’s amazing illustrations include real fall leaves making this one of my favorite Fall books of all time. 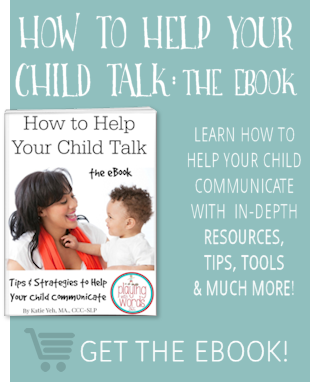 Books are amazing as they can be used to target an array of speech, language and communication skills. 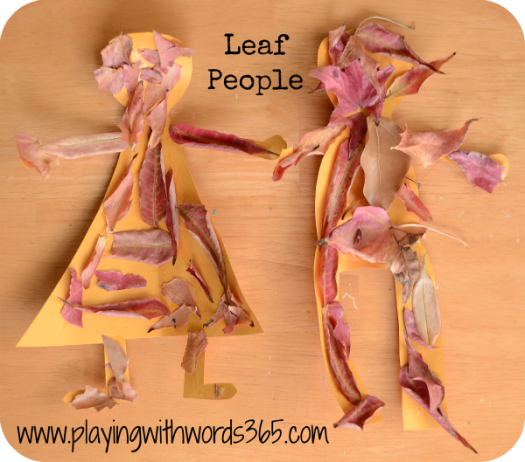 This week I used Leaf Man with my two children to work on building vocabulary, following directions, articulation, and communication skills, specifically for my 20 month old son. We did this by going on a leaf hunt and then making our own leaf people after reading the book! 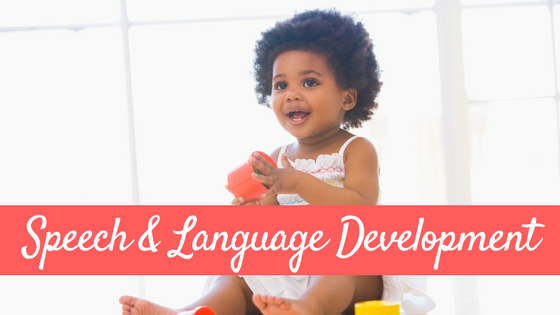 Speech and Language is not learned in a bubble…which is why it is important to work on these skills throughout the day and with different activities. 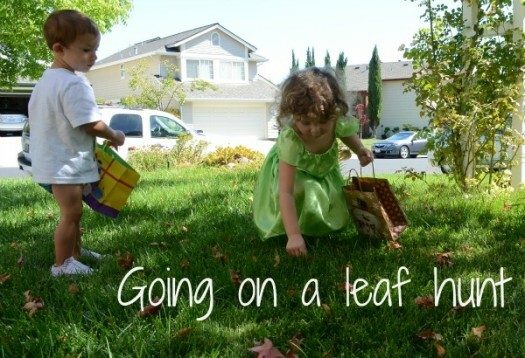 Highly motivating activities (like the leaf hunt) give way for more language learning and opportunities to use language in most cases. Everett was more than happy to try using these new words we were working on and for him it was play, not work. This activity wasn’t about the actual gathering of leaves but the process. 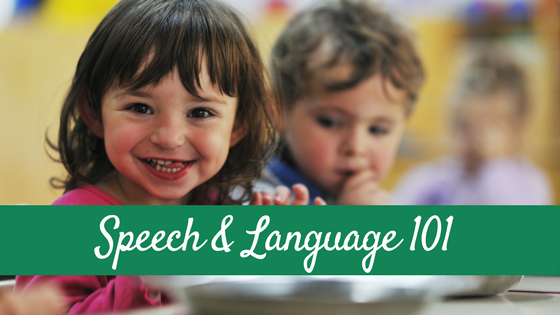 For our leaf people, I was targeting my daughter’s fine motor skills and my son’s expressive (what he can say) speech and language skills. I was also working in his ability to follow directions and learn some new vocabulary along the way. Requesting: We worked on Everett using words to request items rather than gestures and grunts (which he prefers). For example, Everett really liked the glue and wanted to put more glue on the page. Rather than just giving him the glue when he reached for it, I modeled the word “glue” and required him to attempt to say “glue please” in order to receive it. We did this over and over through out the activity. 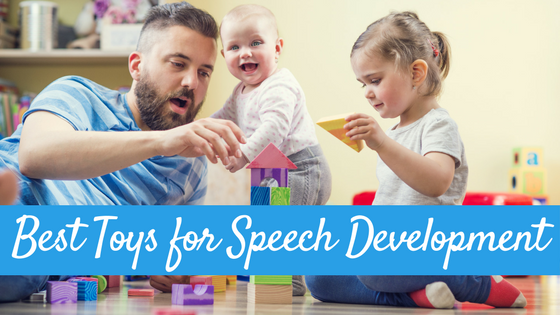 Articulation/motor planning: My Sweet boy needs some practice imitating my speech and producing speech sounds so we worked on this during our activity. We mainly focused on the words leaf, glue and please during this activity. My goal wasn’t perfect articulation..he is only 20 months old. My goal, rather, was for him to attempt to imitate my speech and to try to get some of the sounds in the word right. For example, I don’t expect him to say the /l/ in glue so I was working on him saying goo or gwoo instead, which are age appropriate approximations for that word. Fine Motor: My daughter’s fine motor skills are still a little weak from her juvenile arthritis so I love doing activities with her that require her to use those skills. 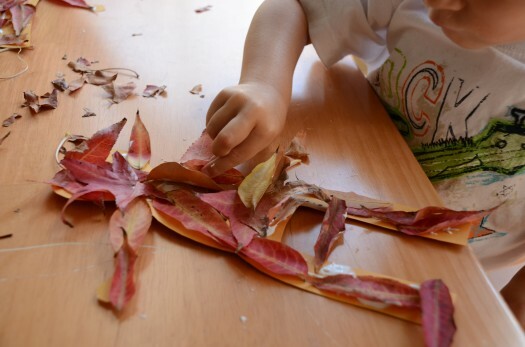 In this activity, she had to pick up the leaves with her pincer grasp and then use her pointer to push the leaf onto the glue. Cut out people from construction paper. We did one boy and one girl. Have your children cover the leaf people with leaves. Hang your leaf people in your home as a fall decoration. 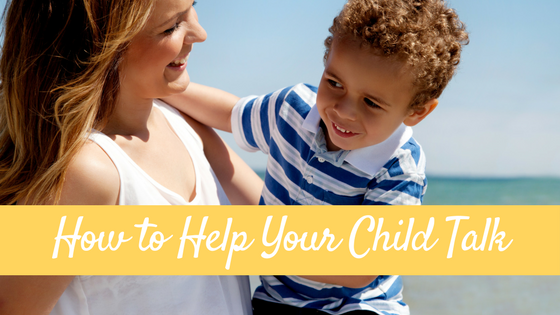 See…super simple! 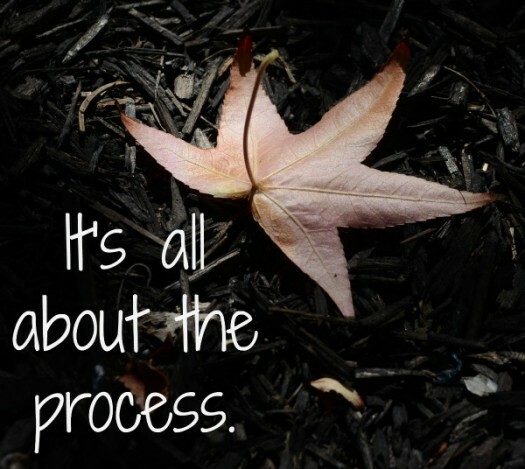 Remember that when using crafts to work on speech and language, it is the process and not the product that is important. Oh..and have FUN! Now you need to go check out these FANTASTIC blogs as they are all participating in the Virtual Book Club for Kids as well! 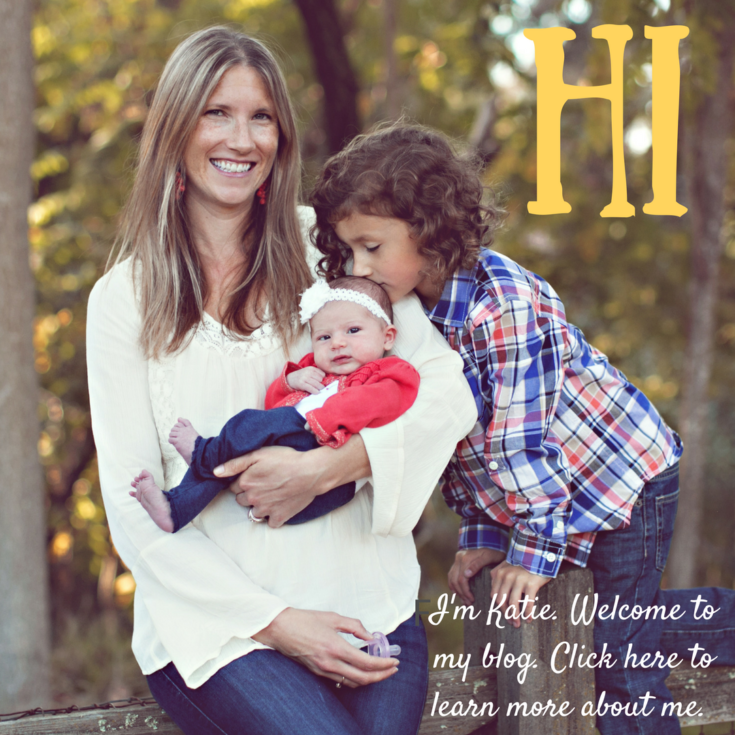 And…this is a blog hop! If you have decided to join us in the Virtual Book Club for Kids this month, link up your activities with us! Your links will show up on ALL participating blogs. I love Lois Ehlert books – thanks for the great idea! What a great activity! I love the leaf people, too. Thanks for that post, it is great. 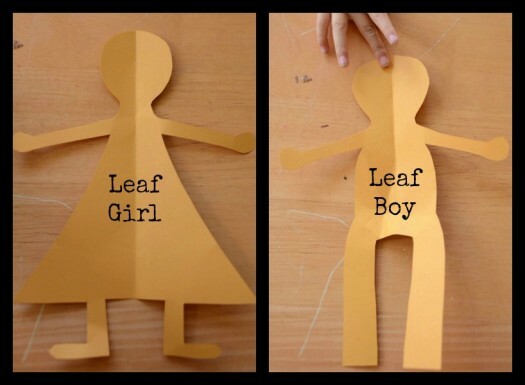 Leaf Man is one of my favorite kids books (close to Lois Ehlert’s book on snow people) and I love the related activity. I’ll try that this fall!